Summer Is Coming -- Will You Be Here? Visit www.piercecollege.edu/schedules, click on Summer 2019, Online Searchable Schedule of Summer Classes. We want you to pursue your dreams—and reach them. You can do it this Summer at Pierce College. Visit the Pierce Transfer Center and find out how Pierce College can help you reach your transfer goals. 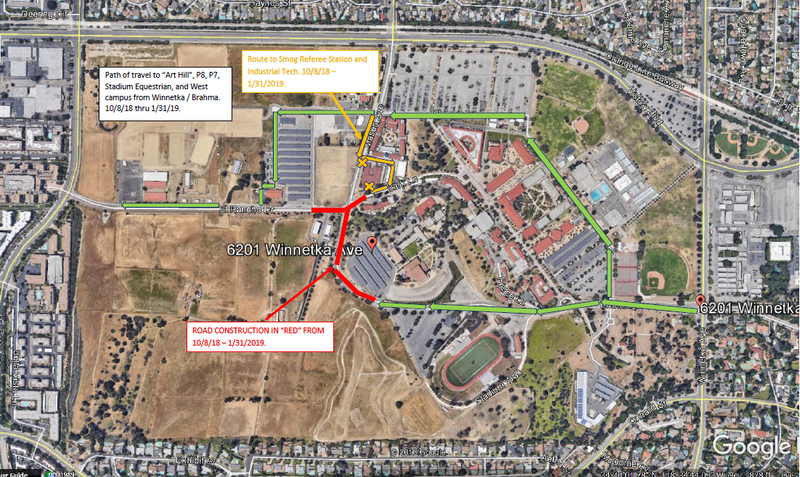 Thank you for your patience during this construction. 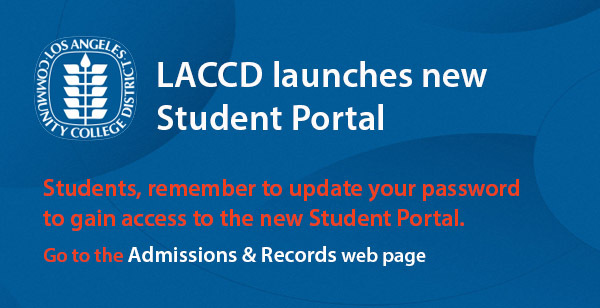 All LACCD colleges including Pierce College are moving to a new Student Information System (SIS) reached by a central Student Portal. It allows students a single sign-on for all our systems for a much-improved experience. .
1. Each student is required to update his/her password to gain access, which includes the email system and the Student Information System. 2. The password reset process has changed, so please read the instructions so that you don’t get locked out. Do not simply enter your four-digital PIN in the password field. The most common mistake: when students are on the “Update Password” page (the second field that is blank) students are entering their PIN number or their current email password. Instead, the student needs to enter the default password in the “Blank” field, for example 88@A0101. -- Not be part of your name, user ID or 3 prior passwords. The third common error: students create a new password and they forget the password because they failed to write it down or memorize it. Write down the default password and your new password on a piece of paper before attempting to change your password online. Pierce encourages high school students in the class of 2017 to learn more about the Promise on our website at www.piercecollege.edu/promise. 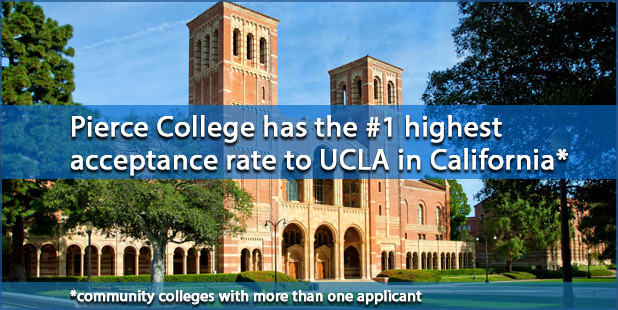 The L.A. College Promise is a partnership between the LACCD, LAUSD, City of Los Angeles, LA Chamber of Commerce, UNITE LA and private philanthropy. It benefits the city and region by creating a college-going culture and responding to the workforce readiness gaps in California. LACCD Chancellor Francisco Rodriguez stated the L.A. College Promise initiative could be the most comprehensive and effective student completion strategy that our districts can offer. Included in this program are priority enrollment, placement in math and English courses required to succeed in college, and career support and counseling. The program’s goal is to increase the number of community college graduates, university transfers, and workforce-ready students in our region. Los Angeles Pierce College is one of nine comprehensive colleges in the Los Angeles Community College District (LACCD), the largest community college district in the nation. Our students strive to earn college degrees and certificates, but many find they are burdened by work and family obligations that make it difficult to complete their goals. 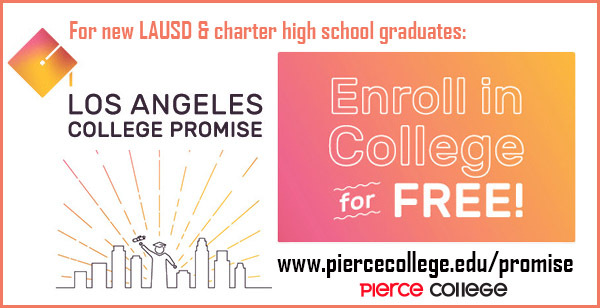 On September 14, LACCD teamed with Los Angeles Mayor Eric Garcetti and Second Lady Jill Biden to announce a new program called the Los Angeles College Promise, forging the way for more local students to become college graduates. LACCD Board of Trustees President Scott Svonkin said that the LACCD is working with the business community to support our high school students and all area residents who want to challenge themselves or enhance their career objectives with additional training. 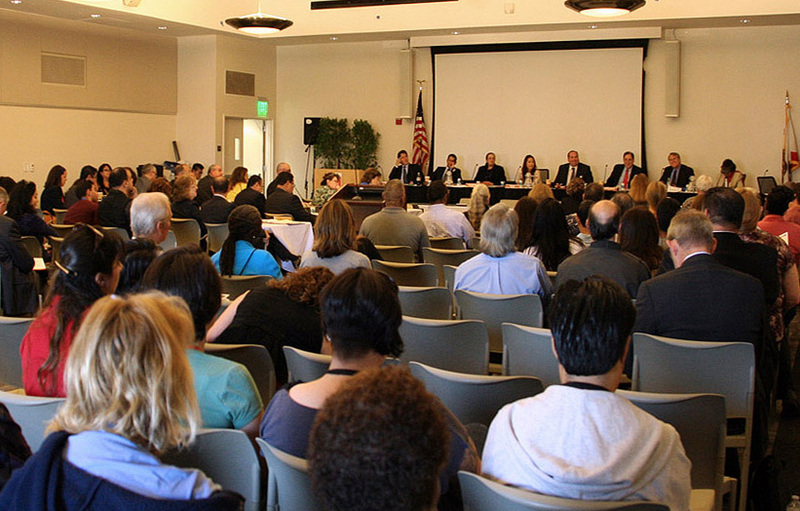 Pierce College is pleased to be moving forward with the L.A. College Promise. Mayor Garcetti said that higher education should be within reach for every student in Los Angeles and that this program creates a path to pursue the skills and education they need to realize their dreams and potential. Birch, Elm and Ginger -- What are those Tree Names? If you’ve seen the names Alder, Birch, Elm, Ginger, Holly, Juniper and Iris next to a classroom number in the schedule of classes, you might be wondering what they are. These will be the new names of the buildings that have been renovated in the “North of Mall” -- a central area of campus surrounding the botanical garden, extending northwest of the Mall between Parking Lot 1 and the Library Learning Crossroads. To make it easier, the building numbers will stay the same and be listed next to the tree names on the schedule of classes and the outside of the building as such: Birch 1100, abbreviated as BRCH. LATE BREAKING NEWS, February 2017: the Juniper 800 building is renovated and opening for Spring. The three buildings 1200, 1300 and 1400 will also be in use for Spring under their old names: 1200 is English Building (EB), 1300 is Behavioral Science (BEH), and 1400 is Math. The last three buildings are set to be renovated over the summer. 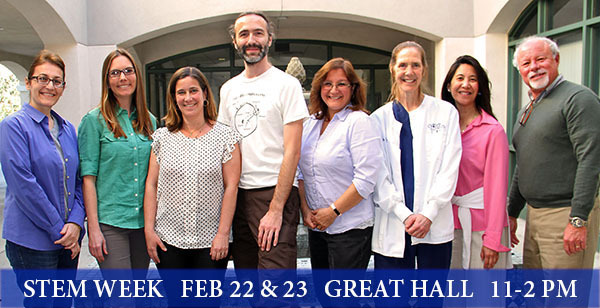 On Thursday, Feb. 23, a STEM professionals panel will be presented between 11 a.m. and 2 p.m. Attend this panel discussion to get information from the pros who are expert6s in the STEM fields. 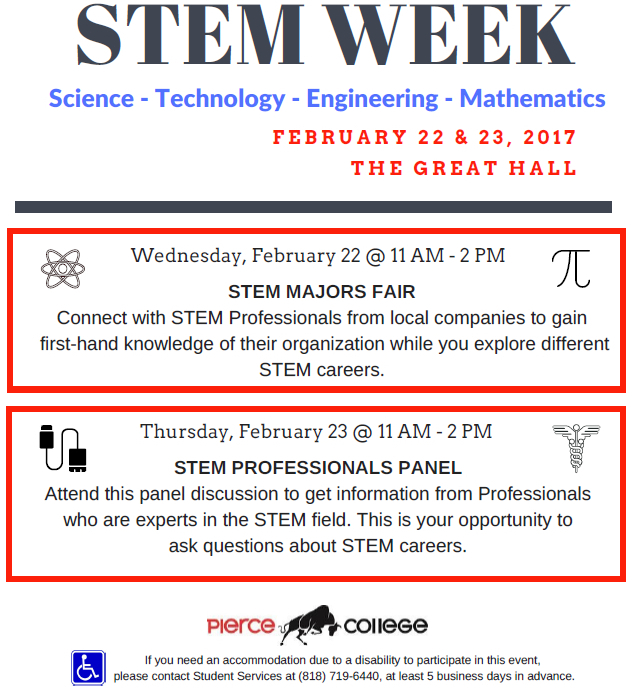 This is a great opportunity to ask questions about STEM careers. It’s all at Pierce College. 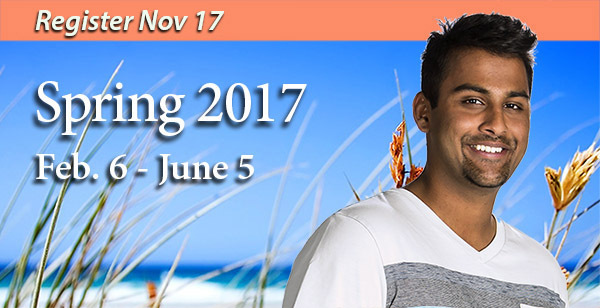 Now is the time to register for Spring Semester, beginning Feb. 6, 2017. It's the perfect time to make a fresh commitment to your educational goals. 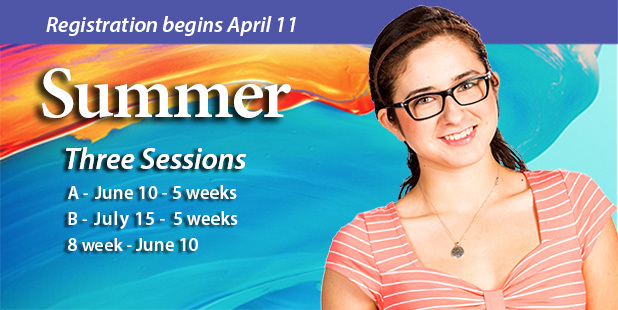 The Spring Schedule of Classes is posted online at www.piercecollege.edu/schedules/. Registration is ongoing for all students. You’ll also find other useful information there, such as the Spring Calendar, Distance Ed, Honors Classes, Short Term, Weekend, and Off-Campus offerings. Maps and a Student Information Addendum located on that page will help you navigate the college. When you sign up for Spring Semester you are on your way to achieving the degree, certificate or transfer opportunity that has the power to change your life from this point forward. Interested in Career and Technical Education? Visit www.piercecollege.edu/careertech to see the vocational class offerings before you go to the schedule. And remember that all official notices about your registration, class changes, financial aid, alerts and new opportunities will come to you via your college email, which you can log in to at the top right of the Students web page, here www.piercecollege.edu/students. At the bottom of the Schedules page you will find an online 2016-17 General Catalog, which has more detailed information about Pierce College and its classes. It’s true—college graduates earn one-and-a-half million dollars more over their careers than those without degrees. Don’t be left out; make a difference in your life starting this Spring Semester at Pierce College.